Many of you have asked for an update on my current hair care routine along with favorites. I have a two part post planned. Part 1 goes live today with a roundup of shampoo and conditioners. Part 2 will go live next week with a list of what I use for styling and treatments. I did an hair care loves roundup earlier this year and have done a few review posts but some of you prefer routine types of posts. For hair care, I wash my hair daily most of the time. There are occasions where I skip 1 day in between washes but those are rare, especially in the summer. On days I work out, I wash my hair twice in the same day. I have thick hair prone to frizz, I heat treat with a blow dryer or flat iron frequently, it’s never been dyed. When it comes to shampoos and conditioners, I love trying new formulas and brands – smell is probably the most important factor for me. If it doesn’t pass the smell test then I won’t even try it (no matter how many raves it has). Today I have a roundup of 7 brands of shampoo and conditioner I’ve put to the test with thoughts on each one. I will say up front that when it comes to shampoo I’m the type who will keep one around even if it’s not mind blowing or amazing. As long as it smells ok, cleans the hair well and doesn’t make it fall out or dry, I just can’t bring myself to throw out a partially used bottle. 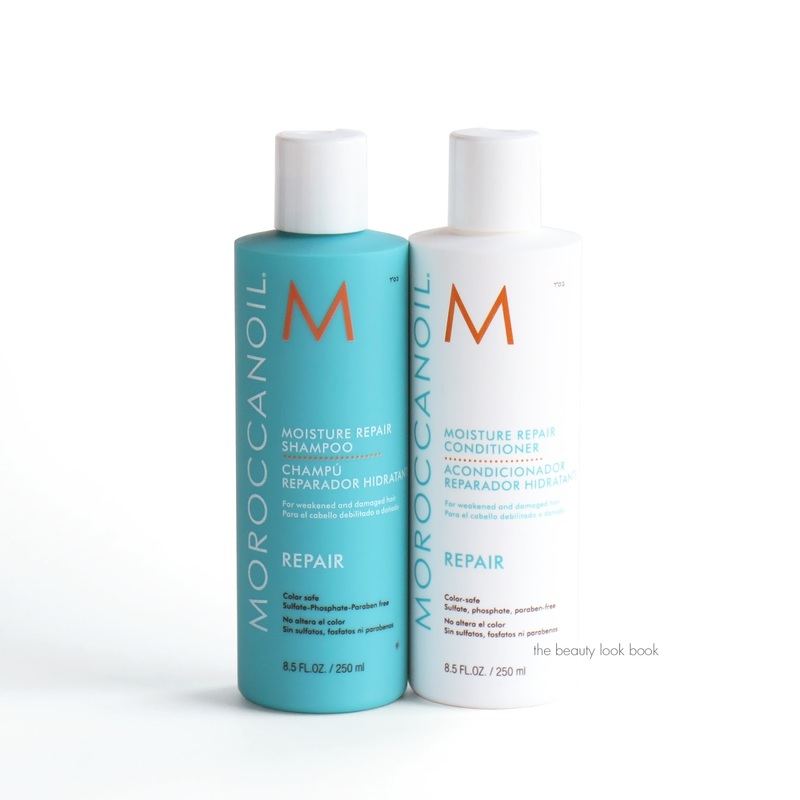 My all time favorite that I can use daily is the Moroccanoil Moisture Repair Shampoo and Conditioner. I stock up on this during the Nordstrom Anniversary Sale because they either have larger sizes or value sets. (This year’s set shown in this haul post.) This formula lathers well, moisturizes, strengthens, cleans the scalp well and leaves the hair shiny and healthy. Full ingredients list of the shampoo here and conditioner here. A huge part of me wants to try out all the shampoos from the brand but as some say, when you find something you love, you stick with it. In this case I’ve stuck with this formula. Next best everyday is the Kerastase Cristalliste line which is designed for those with long hair. There have been a few formulas for fine or thick hair, I’ve tried the one for fine hair and it worked perfectly for my thick hair. It’s a great everyday option and I use both the shampoo and conditioner together. It cleanses the hair and and gets the roots clean too. It’s got a lightweight feel that leaves the hair feeling clean and bouncy with a super soft feel. I gave a few partially used bottles to a friend with long fine hair because she was curious about it but didn’t want to splurge without trying. She loved it too. Bumble and Bumble is a line I’m always keen on trying out. Some of the shampoos and conditioners are heavily fragranced though and too strong so I’ve often tried minis or sets, used them up, but never repurchase. Two that I started using are the Surf Foam Wash Shampoo and Creme Rinse Conditioner and WOW these get a huge thumbs up from me. Based on what I’ve read from other reviews it seemed to be best suited for those with thicker hair. I have thick hair and love this. It doesn’t necessarily add volume but it gives my hair that smooth fluffy beachy look. The scent is mild enough that I don’t notice it after rinsing. I can air dry my hair after using this duo and it gives a natural slightly beachy look. Shu Uemura Cleansing Oil Shampoo in the Gentle Radiance formula for Normal Hair and Scalp. I previously reviewed the Shampoo and tried it by itself. The shampoo by itself is good once in a while as a clarifying shampoo, but for everyday I found it a bit drying. I used up a few bottles entirely and since I didn’t use it daily, they lasted a long time. I was just sent a sample of the Cleansing Oil Conditioner which is another rinse out product and was completely blown away with the combination of the two. The Shampoo by itself was good but not great. Add the Conditioner to the mix and my hair and scalp are left super smooth, tangle free, naturally shiny and also gives it the ability to air dry without any frizz. Most of the time I have to blow dry or add some kind of oil or cream to tame the frizz. I don’t use conditioners everyday even if I do wash the hair daily – I find most of the time I just don’t feel like I need it. This Cleansing Oil Conditioner is really a good one. I will definitely be repurchasing it once it’s used up. Oribe Cleansing Creme for Moisture and Control is a favorite I’ve repurchased multiple times. Unfortunately it’s sold out online at Space NK so you can’t buy it to take advantage of the promo going on right now, but you can find it at places like Birchbox or Neiman Marcus. It could almost go into the treatment category for me, I don’t use it daily because I just don’t need that much added moisture, but it helps rebalance and rehydrate the hair and scalp. It tames frizz, adds shine and leaves hair feeling super soft. New to me is Gloss Moderne which I’ve seen at Space NK quite a few times. In terms of shine shampoos, I find a lot are great as a 1 to 2x per week use kind of product otherwise they get heavy-feeling and weigh down my hair. The R+Co Moonshine Shampoo and Conditioner were both at the top of my list in terms of scent, shine and performance. I’ve used up a few bottles of both but haven’t repurchased for a while. 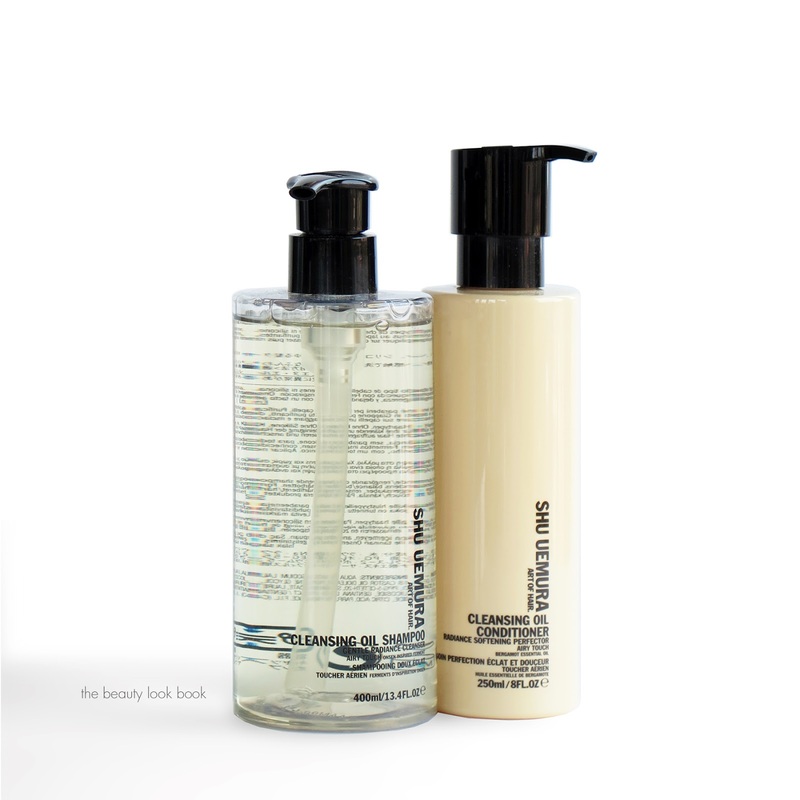 The Gloss Moderne High-Gloss Shampoo and High-Gloss Conditioner have a similar effect but they both have a lush vanilla scent. I have to say that I had low expectations on this one before trying because the reviews are so mixed. I was beyond impressed with how this performed on my long thick hair – it restored shine and left the hair looking healthy and super glossy. Even though my hair is not color treated, the summer sun and heat has turned it into a reddish color about 2-3 shades lighter than it normally is. The heat from the sun also leaves the ends of my hair looking dry so they need a little something extra to get it back to it’s normal state. I really liked how the High-Gloss Shampoo and Conditioner added shine without weighing it down. I was able to use it three days in a row without it feeling heavy or without giving the hair the weighed down look. I will use these up to the end and I do really like these. Although for the shine and gloss effect, I think a styling product could provide the same result. A few of you have asked for a full list of every shampoo and conditioner I’ve ever tried – to recall all the ones I’ve bought and used up would be a monumental task as I’ve tried a lot. There are very few that stand out to me as ones I loved and repurchased multiple times, so I can list those: Drybar Happy Hour Shampoo, Drybar Happy Hour Conditioner, Phyto Phytojoba Intense Hydrating Shampoo. In addition to those, other favorites include the Moroccanoil Moisture Repair, Kerastase Cristalliste and Oribe Cleansing Creme. In terms of new discoveries for me, I’m beyond impressed with the Shu Uemura Cleansing Oil Conditioner and Bumble Surf Collection – both work extremely well for my thick hair. If you’re looking for a good shine/gloss finish shampoo, I don’t think you’ll be disappointed with the Gloss Moderne Shampoo and Conditioners – some may feel they are overpriced but I do think they are solid performers. I’ve totally been in that place where I really like a product but don’t repurchase because of the price. It doesn’t mean something is bad – just that there are other alternatives I’d rather spend my money on. I hope this won’t deter you though – the Gloss Moderne line is really quite good. If you’re looking for good travel-sized or trial-sized sets, I find that some brands will occasionally have a good travel set to try items out. Birchbox has sets of minis by product type with a mix of brands for you to test out multiple formulas which is nice. They’re $18-$28 each, some options include the Frizz Fighters Kit, Wavy Curly Hair Kit, Coily Curly Hair Kit and Beachy Keen Hair Kit. In terms of finding a good volumizing shampoo and conditioner for my thick hair, I’m still looking for one that has that wow factor. I think many work well for fine hair but hair type does make a huge difference in performance. Some may feel that if you have thick hair you don’t really need a volume boost, I sometimes do need it and that’s where styling products come into play. Don’t forget there are still a few more days for the Space NK Explore Promotion (US online only). Details in this post here but you can enter code BEAUTYNOW at checkout to save $20 off orders $100 or more. A few of you mentioned the code did not work for you – the issues have been fixed and it should work as long as you have non-sale items in your cart. The Space NK team did tell me if it still does not work you should be able to call their customer service and they will be able to help you. Brands they carry featured in this post include Oribe, Ouai, Bumble and Bumble, Gloss Moderne. Press samples featured include items from the Ouai (styling products only), Shu Uemura Art of Hair, and Gloss Moderne.